I'm hosting the first ever Read the Nobels 2016 Reading Challenge. You can join in any time of the year and all it takes is to read one book written by a Nobel Prize for Literature laureate. You can sign up HERE. This is part of a bigger, perpetual challenge. If you'd like to get more Nobel Prize winning literature in your TBRs in your lifetime, check out the Read the Nobels blog. "who, with the concentration of poetry and the frankness of prose, depicts the landscape of the dispossessed" (nobelprize.org). 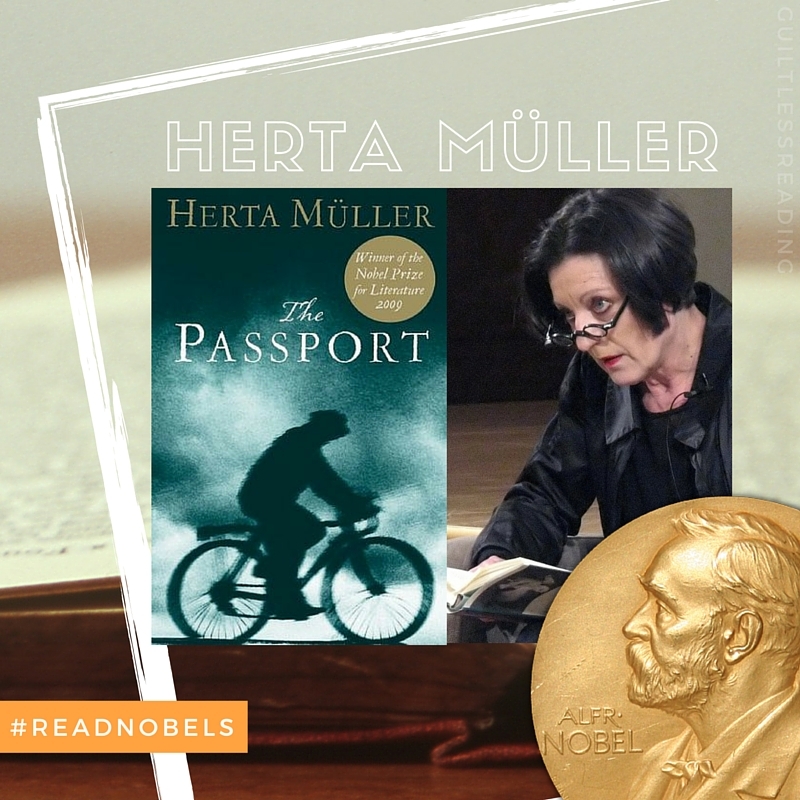 Synopsis of The Passport by Herta Müller: 'Just as the father in the house in which we live is our father, so Comrade Nicolae Ceausescu is the father of our country. And just as the mother in the house in which we live is our mother, so Comrade Elena Ceausescu is the mother of our country. Comrade Nicolae Ceasescu is the father of our children. All the children love comrade Nicolae and comrade Elena, because they are their parents.' 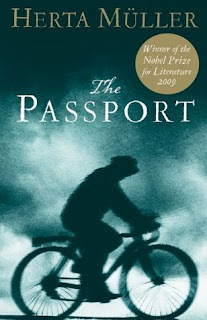 The Passport is a beautiful, haunting novel whose subject is a German village in Romania caught between the stifling hopelessness of Ceaucescu's dictatorship and the glittering temptations of the West. Stories from the past are woven together with the problems Windisch, the village miller, faces after he applies for permission to migrate to West Germany. Herta Muller describes with poetic attention the dreams and superstitions, conflicts and oppression of a forgotten region, the Banat, in the Danube Plain. In sparse, poetic language, Herta Muller captures the forlorn plight of a trapped people.